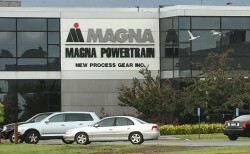 According to the Polish newspaper “Dziennik Gazeta Prawna”, Magna plans massive investments in Poland. In Zeran, the car factory of Ukrainian AwtoZAZ should be purchased and modernized. Also locations in Austria and Hungary were considered. In the end, the Polish location succeeded, although the government did not offer subsidies, the newspaper reported.